I have incredibly sensitive skin and an extremely fair complexion. It took me years to find makeup that even matched my skin! Unfortunately, the makeup that matched my skin made my skin break out. Finally, I decided it was time for me to try mineral makeup. 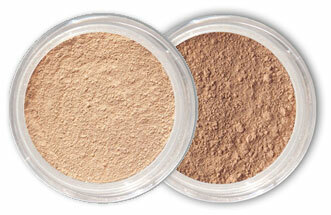 I had heard that mineral makeup was better for people with sensitive skin. I did my research, read articles, as well as testimonies. Again and again, Mineral Hygienics was the brand that kept coming out as #1 with the best customer reviews. I decided to give it a shot. I'm so glad I did! The makeup provides great coverage, and it doesn't bother my skin! My skin is actually looking better than before! I am so happy that I gave Mineral Hygienics a chance. I would highly recommend it for anyone with sensitive skin or anyone who has trouble finding the right shade. Thank you Mineral Hygienics! You have truly saved my face! I pretty much had given up on trying to find the "perfect" makeup. The trouble with my skin is 1. I am extremely prone to breakouts, 2. I have olive skin which doesn't work with most makeup tones, and 3. I have really uneven skin coloring and acne scarring so I need decent coverage, but also don't want to look like I'm wearing a mask either. No makeup has ever met all my requirements, until now! Thank you so much Mineral Hygienics, I haven't had skin this healthy since I was a kid! Not only that but their exchange policy is great, they take the risk out of shopping online and make finding your ideal shade so easy. I love this product! I am pale with a lot of redness around my nose and darkness around my eyes. At first I thought the darker shade was going to be too dark, but I mixed the two and got the perfect shade. I've tried other mineral makeups and they either made me itch or they went on chalky and didn't last. This foundation goes on smooth as silk, doesn't settle into the lines on my face and lasts a long time on my skin. It even feels good because I CAN'T feel it. I can't even tell it's on my skin, but it sure covers great. Even my husband noticed and said I looked great!! Thank you Mineral Hygienics. I'm a happy customer!